Pastors Bob and Cecile Barnhart of the Church of God at London in London, Ontario, are making a major difference in the lives of disabled people in their community. 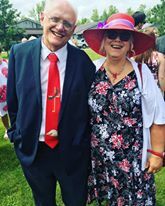 Though the Abilities Outreach ministry was officially launched in September, Pastors Bob and Cecile were inspired to reach out to the disabled before they began serving at the Church of God at London in 1999. The passion was sparked when Cecile began working at the Oxford County Branch of the Canadian Health Association. Accessibility for the disabled was on the Barnharts’ minds when their daughter was unable to enter their house or church after undergoing major surgery on her foot. The event brought to light the lack of accessible ramps for the disabled in public places. The Barnharts also served to guarantee disabled students in London, Ontario, safe rides to school for over fifteen years; Pastor Bob drove a school bus for the disabled while Pastor Cecile worked as the bus monitor. “We feel that God has been preparing us for this ministry through all these events,” Cecile says. The Abilities Outreach Ministry is a church-wide effort to invite and reach out to those with mental and physical disabilities in the London community. The ministry is also working to improve accessibility and to promote education on the topic in the surrounding area. “What we seek to do is meet the spiritual needs of those within our community who have various levels of disability, and encourage them to use their God-given gifts, abilities, and talents for the glory of God,” said Pastor Cecile. The Abilities Outreach Ministry is already off to a positive start. 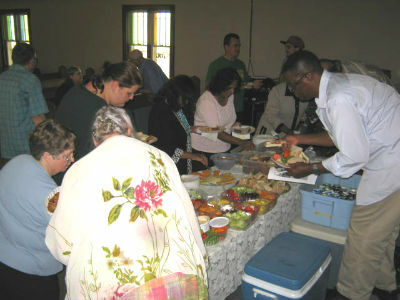 During the ministry’s official launch, the church was attended by someone who had been unable to access the church previously due to lack of wheelchair accessibility. The ministry has also inspired various people with disabilities to become members and even leaders of the church. In Ontario, across North America, and around the world, God is on the move in the Church of God. Join the movement. Reach our world. Donate today at give.jesusisthesubject.org. This entry was posted in All Church of God and tagged Abilities Outreach, Bob and Cecile Barnhart, Canada, community, disabilities ministry, disability, London, Noel Marquis, ON, Ontario, outreach. Bookmark the permalink.